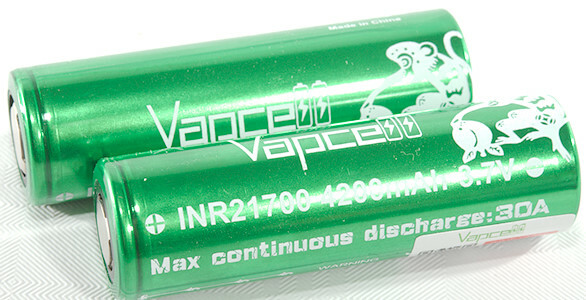 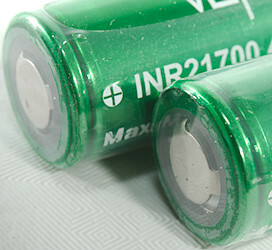 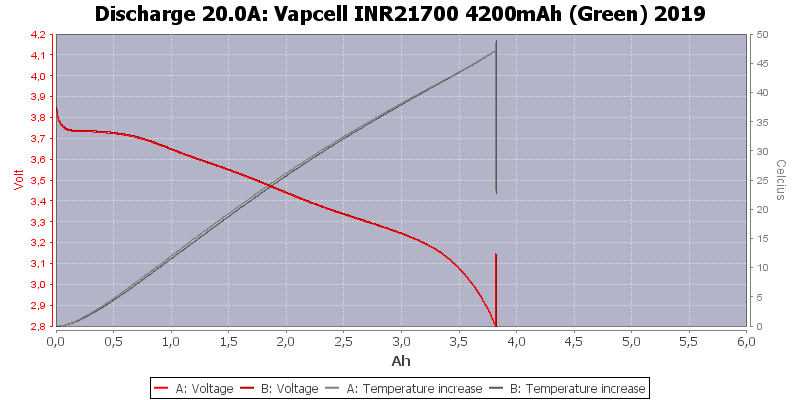 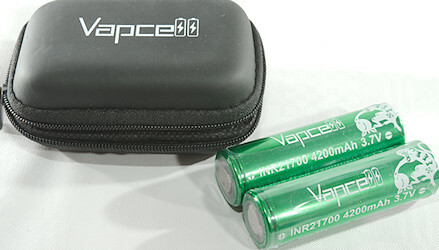 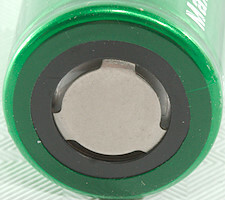 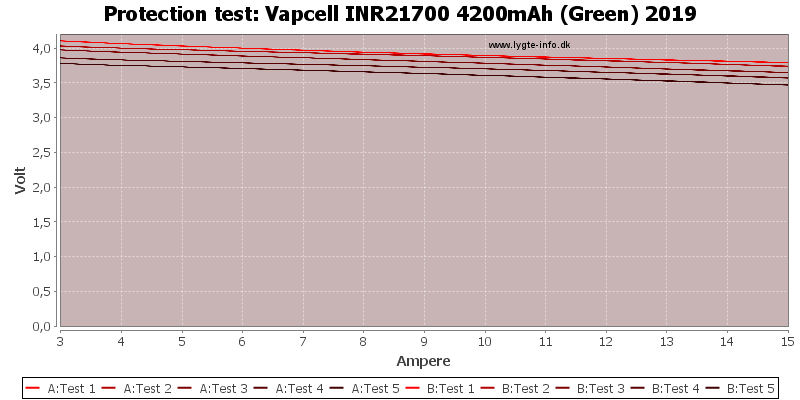 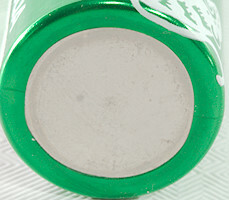 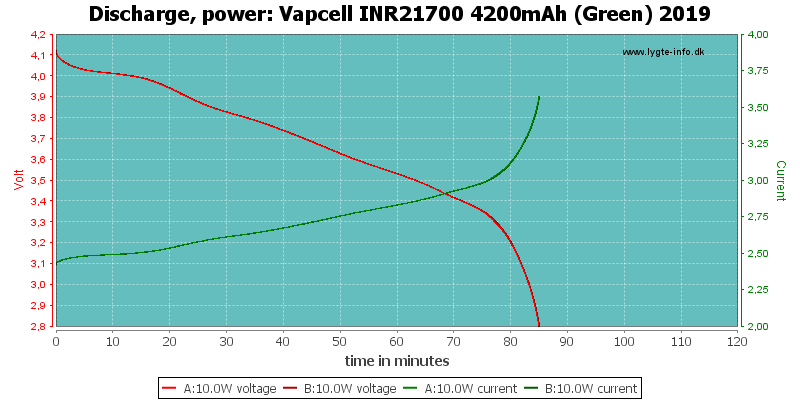 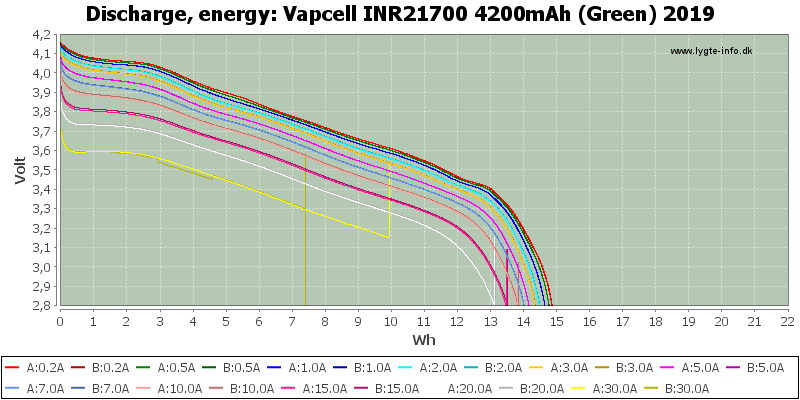 This is a high current 21700 cell with good capacity. 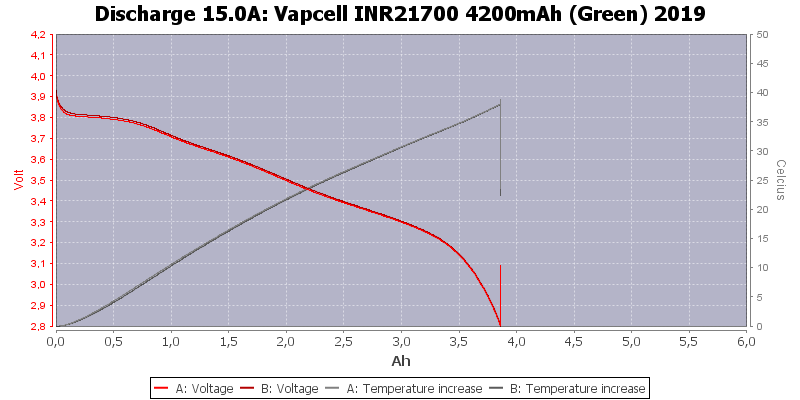 The two cells match perfectly, but the capacity is slight low. 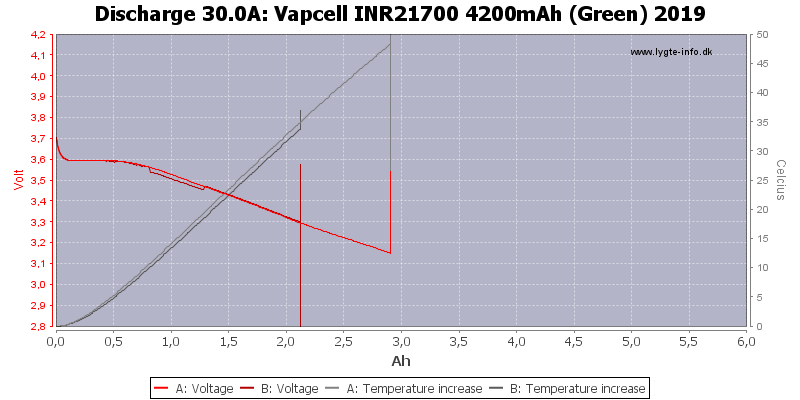 Something went wrong during my discharge and the B battery melted my battery holder, but as can be seen it did not get that hot (Temperature sensor is a bit slow to register temperature). 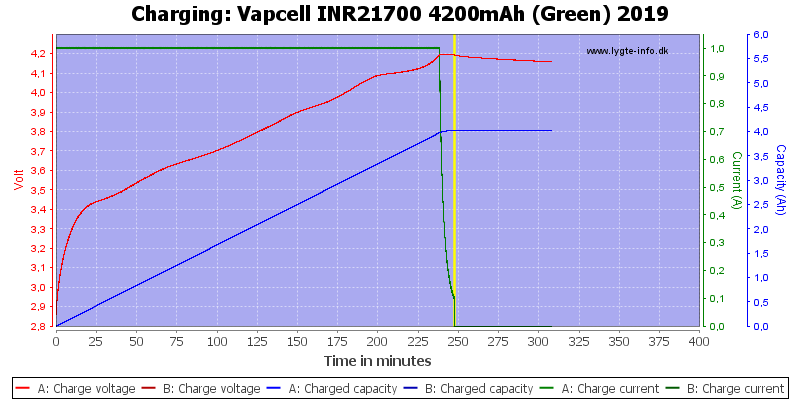 The A battery got hot enough to stop the discharge. 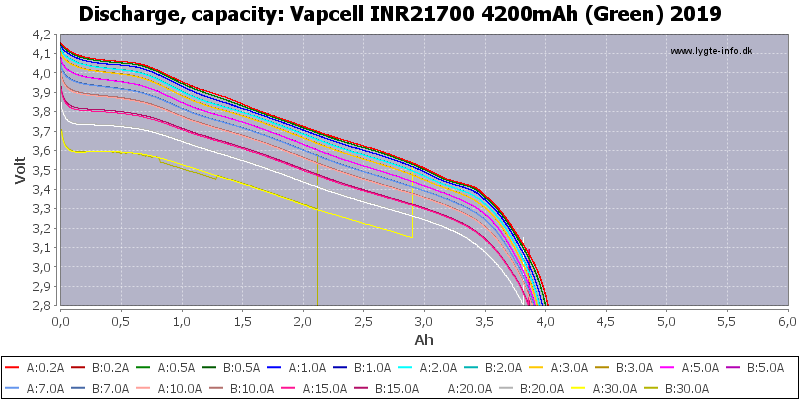 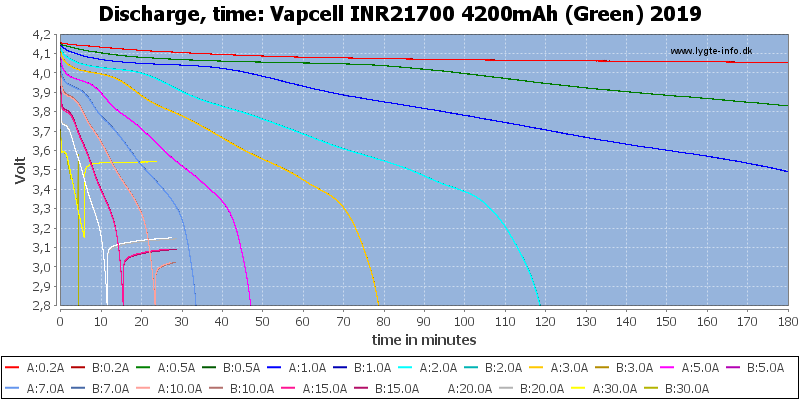 This is a good quality high current battery, but the 30A may be a bit optimistic for continuous discharge.